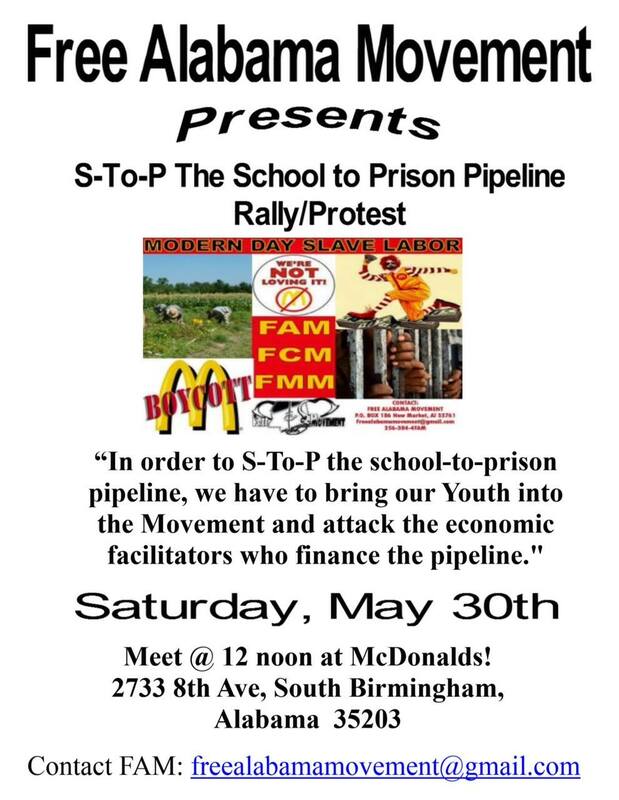 The Alabama prison system is one of the worst in the nation in regards to overcrowding, inhumane treatment, unsanitary living conditions, inadequate health care and lack of Educational opportunities. Earlier this year, in response to those horrid conditions, over 4,500 Men at 5 different Institutions in Alabama engaged in Non Violent & Peaceful Protest in the form of a work stoppage. For 3 weeks these men refused to work for free while being dehumanized and economically exploited. After a press conference at the State Capital and several meetings with the Commissioners of the Department of Corrections, it was agreed that the Alabama prison system needed some drastic changes. This is what they told the public, while internally they began targeting the men they felt like were responsible for organizing and orchestrating such a mass shutdown of their economic stronghold. 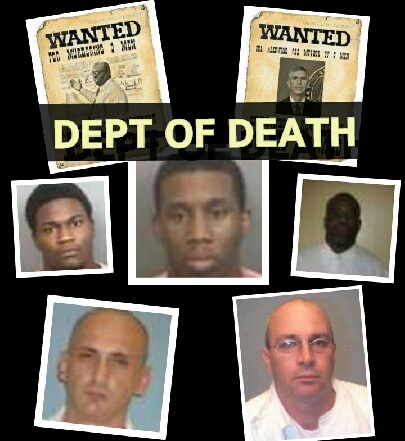 Melvin Ray, Robert Earl Council and James Pleasant were targeted, singled out and labeled “threats to the security of the ADOC”, then placed in Solitary Confinement with indeterminate sentences. For the past 9 months, these 3 men have been harassed, intimidated and threatened with physical abuse (and one has been assaulted and deliberately denied medical treatment). 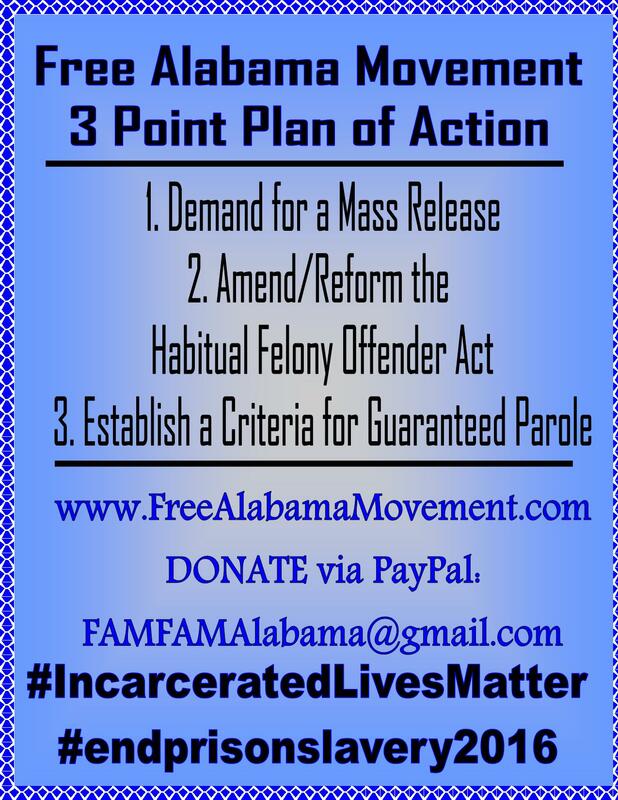 In the course of their continued struggle to get justice in the Alabama prison system, these 3 men have become known as the Free Alabama Movement 3 or (FAM 3). 1. One person stabbed another several times. He served 4 months in Solitary Confinement and war released back to general population. 2. The Wardens’ runner was found in possession of 3 grams of crystal meth. He served 16 days in Solitary Confinement and was then released back to general population. 3. Two men assaulted one another with weapons. 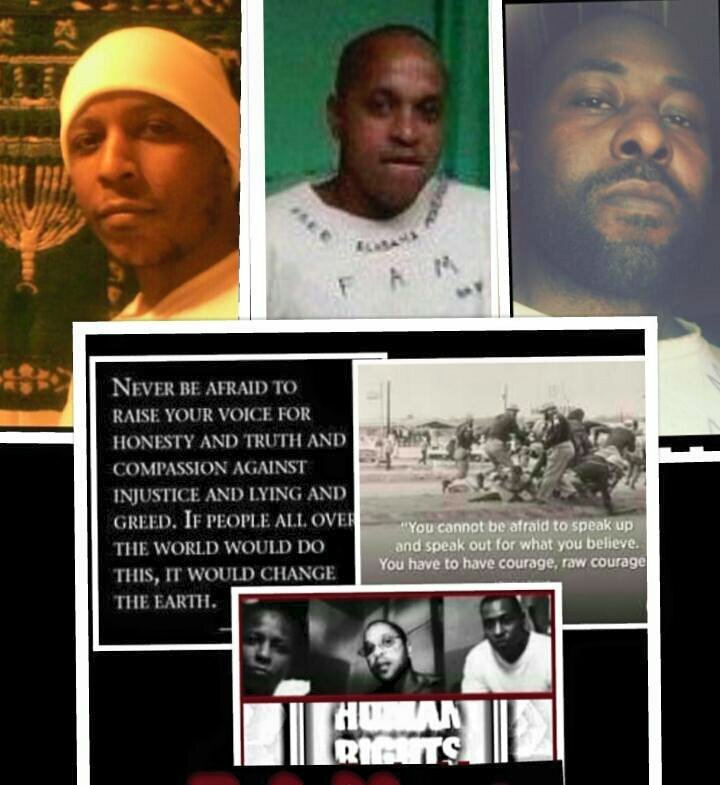 One served 45 days in Solitary Confinement. The other served 63 days in Solitary Confinement. Both were then released back to general population. 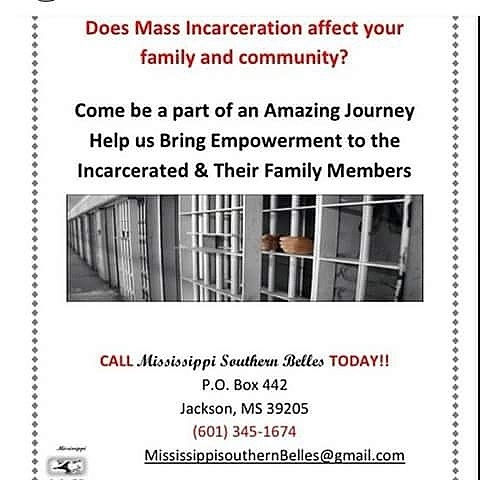 So, as Warden Myers stated, drugs and violence are acceptable parts of prison. 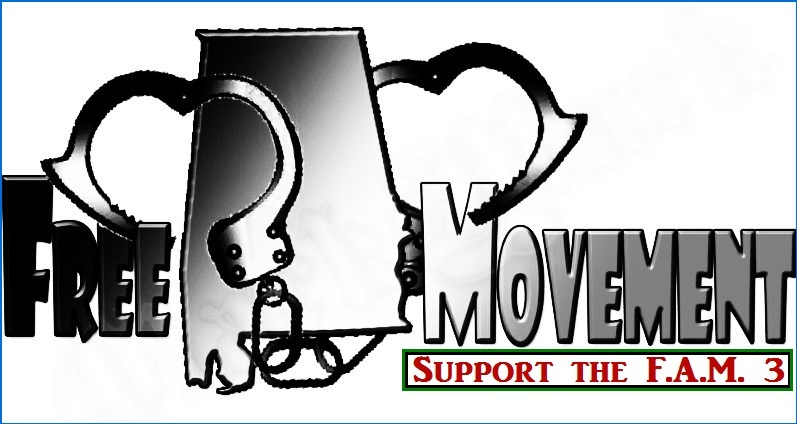 However, what is not and will not be tolerated- FREE ALABAMA MOVEMENT. 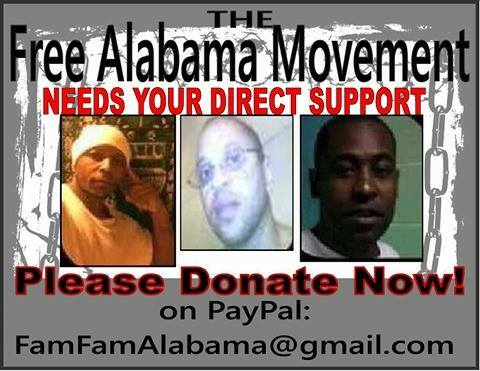 For promoting FREE ALABAMA MOVEMENT- teaching other inmates the law and expressing their views about the on-going Human violations occurring at Holman Prison, Robert Earl Council and James Pleasant have been placed in Solitary Confinement with indeterminate sentences. To date, Robert Earl Council has served 9 months in Solitary Confinement with no consideration for release. 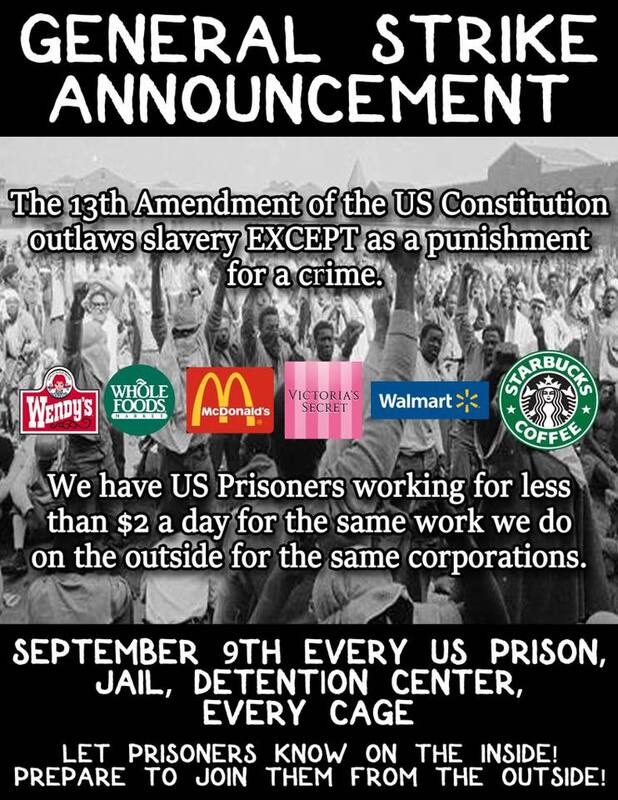 James Pleasant has served 8 months in Solitary Confinement with no consideration for release. So, once again, it appears that Warden Myers is truly a man of his word. 1. An inmate stabbed another inmate several times. He served 4 months in Solitary Confinement. 2. The Wardens runner was found in possession of 3 grams of crystal meth. He served 16 days in Solitary Confinement. 3. 2 inmates assaulted one another with weapons. 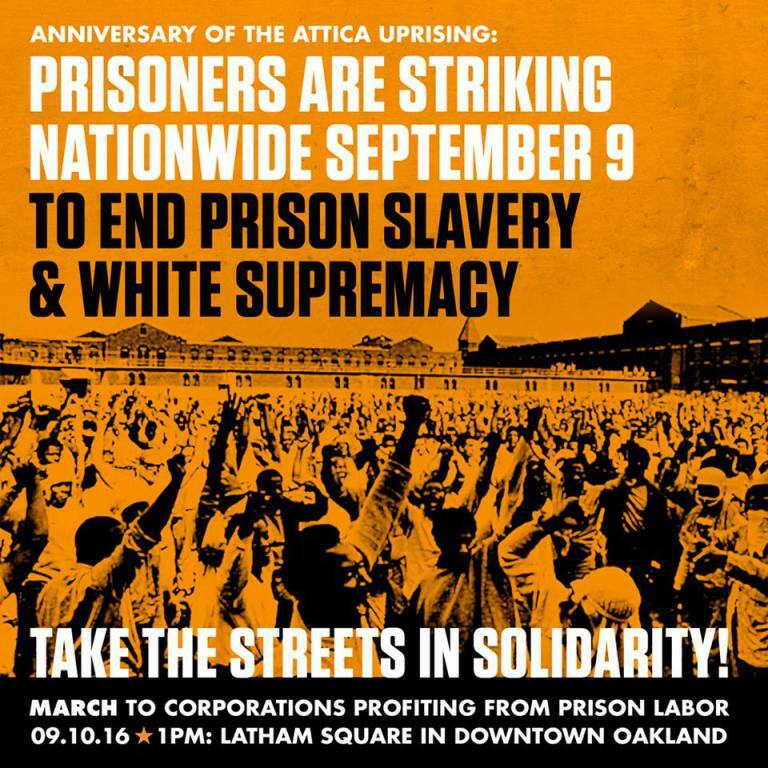 One served 45 days in Solitary Confinement. The other served 63 days in Solitary Confinement.